Home » movies , the goonies » "Goonies never say die!" 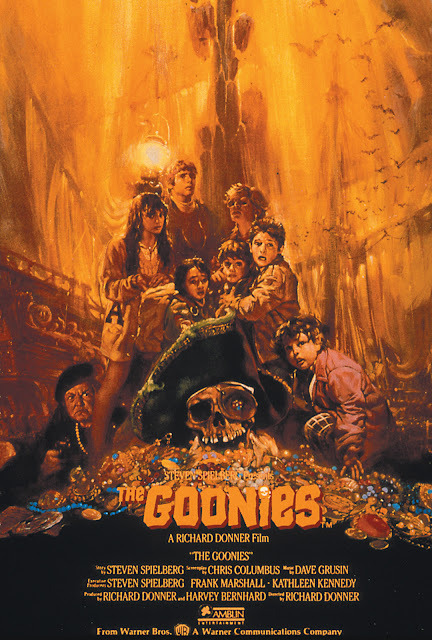 The Goonies, without a doubt one of the most defining movies of the Eighties generation, was released thirty years ago today on June 7th, 1985. Here's Chunk doing the "Truffle Shuffle" in wild celebration! Inquisitr.com has a neat list of 15 things about this movie that you may not have known. F'rinstance, the pirate ship was kept a secret from the cast until they were ready to film the scenes there, so as to more authentically capture their surprise.